You are here: Home » News » Hello – Are you willing to take part in IELTS? Hello – Are you willing to take part in IELTS? We’re happy to publishing this article from one of our regular visitor and commentor ‘NAZ31’. 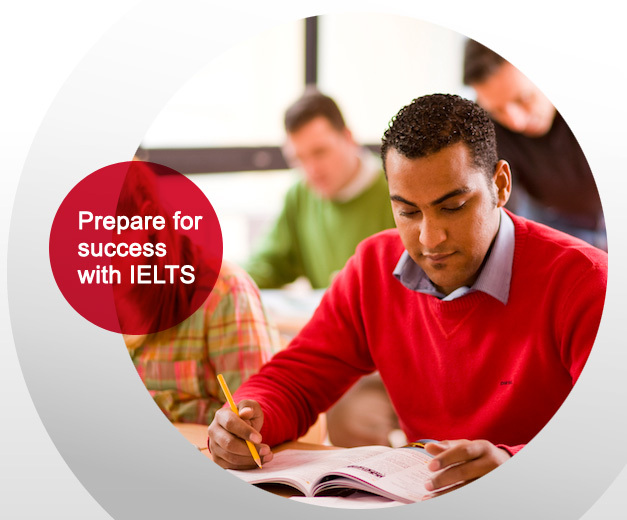 He/She is invited you to read this article when you are thinking to take part in IELTS. Surely this article will help those students who are willing to take part in IELTS exam. I would like to share few things here, nothing personal, no grudge against coaching centers as well. If you think you are good at english, which I mean as if you are using the language on daily basis, then going to coaching institutes to get a particular score for IELTS is advisable. Otherwise it is totally a waste of MONEY, TIME and HOPE. Seriously, if you cant speak english properly how on the earth will Bangladeshi english speakers from english medium schools help you get band 7 or above with few hours of lessons? They are not magicians for sure. Firstly, to prepare for IELTS, my suggestion would be giving yourself handful of time to know the language confidently and use it without fear or hesitation. After coming to this country, its a shame to see people not speaking english often, and those that use , are not so confident. Secondly, practice practice practice for REAL. Don’t just read and write from grammar books. Its totally a nonsense. You are not going to give an exam at school and fly around with your mark sheet. So STOP learning from grammar books. When I say practice it means to repeat what you hear from english speaking sources. Listen 2 times, repeat 20 times. Then apply the sentences elsewhere. Then, the big factor that every1 thinks is very COOL in english is the ACCENT. God, do not concentrate on accents. There are millions who uses neutral accent. You must have heard of American accent, Canadian accent, British accent, Australian accent and so on. But did you know that there are tonnes and tonnes of accents within a country itself? In London every county’s people speak in different tones and accents. You cannot go around mimicking all sort of peoples tones and voices and call it a BRITISH or AMERICAN or XYZ accent. Listen to CNN, most of the reporters are Americans yet there are differences in their accents. So don’t focus on ACCENT, rather be COOL with your pronunciation. A lot of people cant pronounce words correctly and they brag around with tongue twisted like roller coaster and show off with accent. Which is totally ridiculous. You have to be very brave with your pronunciation. There are free websites which provides audio for words that are pronounced in Britain and America. You can pick any one and just listen to the words very carefully and try to speak and record everything that you say and compare. This is a very cool way of learning the language with confidence. If your pronunciation is improper and you are having a classic British accent, you will be a laugh in front of the listener. So do not worry about the accent, as long as you are using the words correctly. For example – CHAIR, a lot of people in this country says it CHEEAR. This is wrong. Totally wrong. It is CH-A-IR (CHAEER). So ultimately, when lot of people try to dub the english into bengali they write it as CHEEAR in bengali (sorry I couldn’t type in Bangla font). So use the words correctly and perfectly. Finally, the GRAMMAR. So what if you are not a native english speaker. Even the british whites and american whites, they do not speak english with perfect grammar. So don’t be strict with grammar while speaking for everyday use or just exams that will help you with immigration. Unless, you are studying for SAT or A-level exams or you are writing your thesis. Be calm with grammar, no one is going to punish you for using wrong grammar in a shopping mall. But of course don’t make a fool out of urself by using words here and there to make a sentence. Just don’t be toooooo STRICT with your language. Final tip: Learn dialogues and sentences from British council videos in YOUTUBE and other news speaking channels. Very good for using everyday! Good Luck to all that are preparing for English exams.